Digital Arts - comprehensive coverage of the art of graphic design, 3D, animation, video, effects, web and interactive design, in print and online. 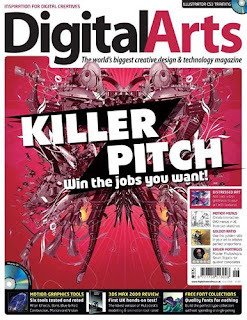 Digital Arts is the UK's leading resource for creative professionals, both in print and online. Published in the UK, Digital Arts benefits from the backing of the world's largest IT publisher, IDG. Through IDG's global network, Digital Arts has access to the world's leading writers, reviewers and the best-informed sources in the industry. This guarantees that Digital Arts always provides the best, most up-to-date information, keeping it well ahead of every other magazine or Web site in the market.